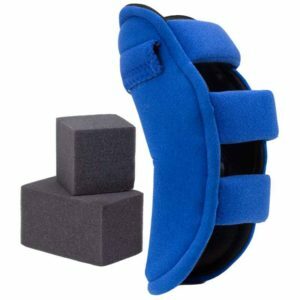 Provides prolonged low load passive stretch and treats flexioncontractures of the elbow that result in lost range of motion. RestAir technology uses an air bladder at the inside of the elbow, positioned parallel to the arm to redistribute skin pressure. Bilateral hinged uprights work with the air bladders to continue to move the joint toward normal alignment. 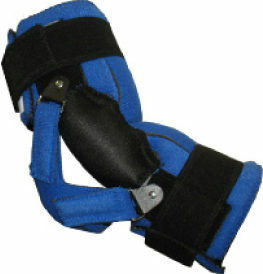 Hinges can be removed for the most severe flexion and added as the range improves. 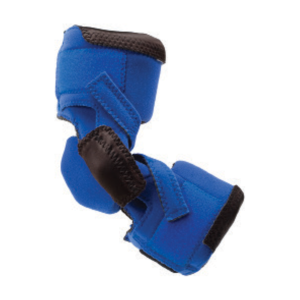 Flex Technology splint moves with the patient’s abnormal muscle tone and spasticity. Soft, breathable fabric helps keep the patient’s arm cool and dry. Superior padding provides comfort, increasing likelihood of patient compliance.